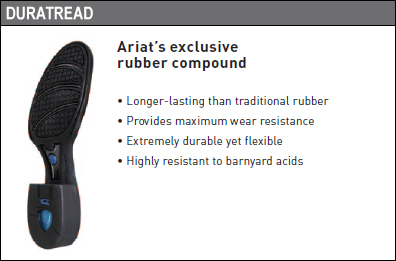 Ariat® Terrain Work Boot - 10004126 is part of the Terrain Series by Ariat and features a shock absorbing EVA Outsole for working comfort. It sports a leather foot and easy lace-up leather shaft. A moisture-wicking lining keeps sweat at bay, too. Your dry feet will also appreciate built-in stabilizing, cushioning ATS (Advanced Torque Stability) technology.